So what's included in the prize, you ask? Let me tell you! This contest is open to anyone in North America [Canada + the US]. (Sorry international peeps, next time hopefully I can include you!) See the Terms and Conditions for full rules. Very pretty nail set for those serious nail artists like myself! Thank you for this generous giveaway! Fingers crossed for you this time, then! :) Blue and silver... sounds good for a winter theme! Another vote for holos! I hear you. :) Good luck!!! Thanks for entering! 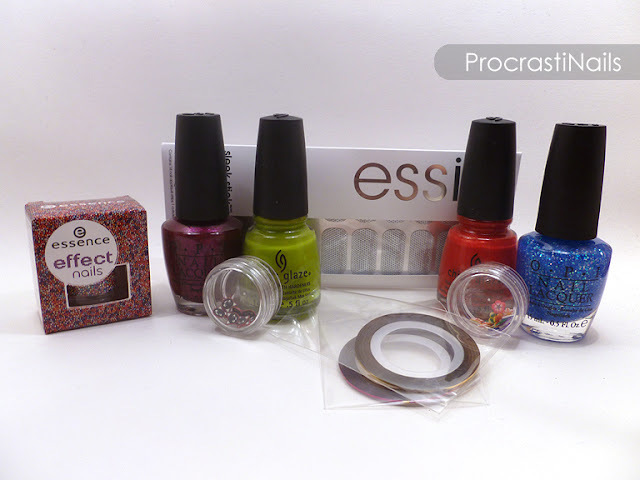 :D Polishes are the popular choice it seems. This is exciting! Thanks for hosting this. Nail polishes are always exciting. 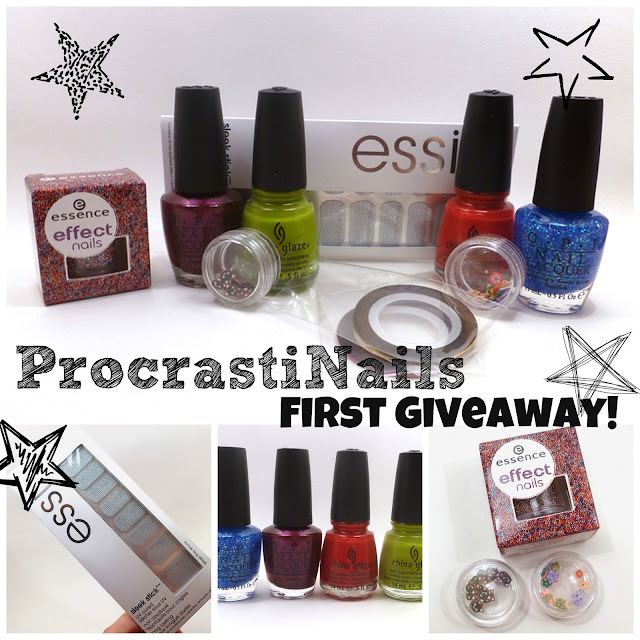 Excited for the nail polish prizes! any bright purple shades would be awesome. But this is a very pretty giveaway. Bright purple! Specific, I love it! :) Thanks, and good luck!! I would like to see some jewel tone nail polish shades. They are perfect for the weather! An CG for Amazon, Etsy, Storenvy, Llarowe or other such outlet? Any polishes are always good! I usually prefer that to supplies, but that's just me. Thanks for the giveaway!